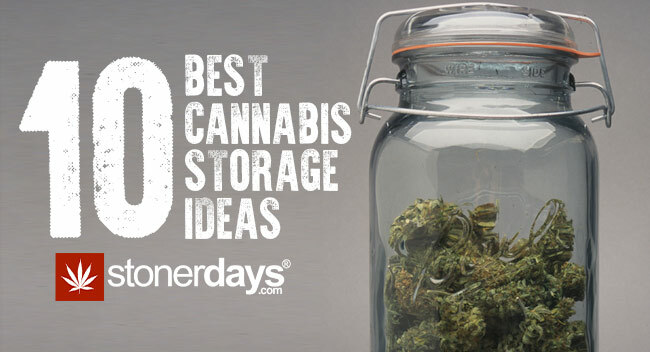 Here are the 10 Best Cannabis Storage Ideas for every stoner. Because marijuana is organic, it will degrade over time, particularly if exposed to the elements. Storing cannabis properly is vital. So, how do you do it? All cannabis storage must occur in the dark. According to the U.S. National Library of Medicine, light will quickly degrade your harvest. Choose a place where very little light can get to it, preferably none. If there is moisture in your weed when you store it, mold will grow and destroy it. Make sure you dry it properly before putting marijuana in storage. Stash it in a dry place free of damp and mold. Do not let any oxygen near your weed. According to the National Institutes of Health, oxygen triggers decomposition. Anything you put in glass will stay fresh for a long time. Use glass jars with airtight lids. Warmth can denature trichomes, stimulate bacterial growth, and severely reduce quality. Keep your stash away from any heat. Store it in a drawer, closet or cabinet. 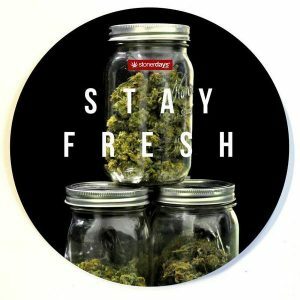 Do not break your buds down for marijuana storage. Keep your buds as big as possible. Breaking them into smaller pieces will accelerate decomposition and destroy precious THC crystals. Do not handle your weed at all during storage. You will damage trichomes and lose THC and cannabinoids. Leave your stash untouched until you are ready to use it. It is crucial that you “burp” during cannabis storage. During curing, you should do this daily. During storage, do it only monthly. Open the jar for 10 minutes to let it air. Close it and put it back when done. Freezing works if you are storing cannabis for years, but almost nobody stores stash for that long. Unless you are, avoid freezing. Defrosting reduces quality. If kept cool, it will stay fresh for at least two years. Although the legalization movement is sweeping across towns and cities, you should still be discreet. Hide your stash from other eyes, and do not advertise that you have any. Storing cannabis should occur in a safe place. Do not put it where something can knock it over, such as a cat. Store glass jars where they cannot fall over and break. Although it may sound complicated, marijuana storage is actually very easy. Keep it dry, cool, and airtight in a safe, discreet place. Burp it once a month, and do not handle it unless you have to. What is the worst thing to happen to you when storing cannabis? Let us know in the comments below. Author Bio – John Levy is the author of this post. He is a blogger for Pot Valet, a leading company to provide marijuana delivery service in Santa Barbara. He has 5 years of experience in the Cannabis industry and loves to share useful information about cannabis and related products.